Jointly developed by Intel and Micron, 64-Layer 3D QLC NAND flash memory chips are finally available in the market. 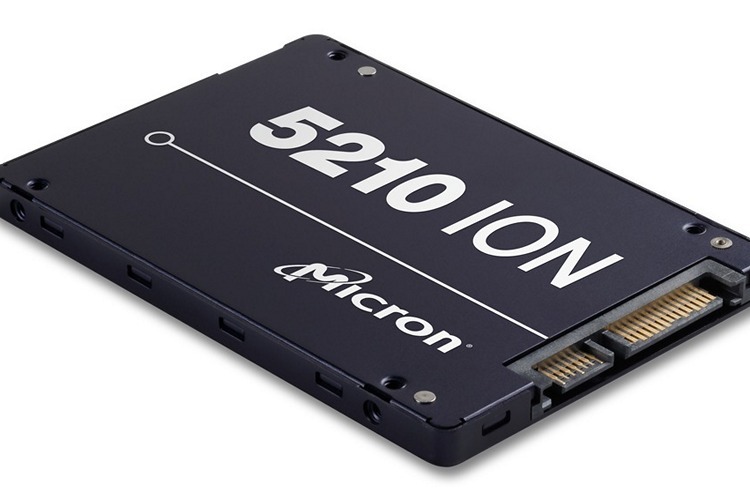 SSD drives based on the technology have finally started shipping as part of Micron’s ‘5210 ION’ series. QLC, or ‘Quad-level Cell’ NAND chips, store four bits of info on each NAND cell, and offer up to thrice as much space as TLC ‘Triple-Level Cell’ NAND. Even as the 64-layer technology has only just started shipping, the two companies have announced that they are now working on a 96-layer structure that could, in theory, store up to a massive 192GB of data. In comparison, each 64-layer QLC die that’s currently in production, can ‘only’ store up to 128GB of information. Intel and Micron had originally announced 3D NAND back in 2015, when standard NAND could barely hold 32GB of data. The new technology (3D NAND) is expected to increase the capacity of SSD drives significantly in the coming years, as well as make them more affordable, bringing them ever-closer to mechanical hard-drives in terms of the price-per-GB equation. Even though the current generation is aimed at the enterprise for the most part, industry insiders seem to believe that the new flash will be available in client SSDs sooner rather than later.